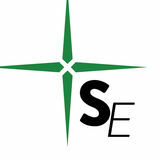 As a full-service accounting firm, we look to understand your unique needs and welcome all questions – simple or complex. Above all, we believe that behind every number is a person who counts. Congratulations on receiving this distinguished honor. Thank you for all that you do for our community. We look forward to your continued professional and personal success. alongside his wife Hope, who founded Foster Together Colorado. Kyle was a husband, father to Max, and friend first. He was an adventurer and lover of Mary Oliver. Kyle sought and fought for the best for his community. He was lost in a helicopter crash in Kenya on March 3, 2019. The Colorado Springs Business Journal honors him tonight for his accomplishments, his dedication to community, his love of Colorado. Rage, rage against the dying light. Our people are our greatest asset. Join the Ent Credit Union Team! We're looking for people who are committed to providing exceptional service and helping others improve their financial lives. Join us. Learn more at Ent.com/Careers. What do you wa nt to be when you gro w up? I have no clue. I ju st have a few ideas —I have glimpses. Go to grad school, or someth ing else. Colorado Springs h as been an incredible plac e to start my career. t s o P d a m h A a h s i A What advice would you give your younger self? To not stress so much about career trajectory. … It’s funny how every single thing I’ve done has made me more qualified for this job than I think I even realized when I got it. ur. I’ll always be an entreprene e I’ll never work for anyone els again. ... My grandfathers were entrepreneurs — one was a potato broker and the other had a pet cemetery. So I grew up bagging potatoes, m operating the pet crematoriu and digging graves. I guess it’s in my DNA. What do you wa nt to be when you grow up? I want to be an in fluencer, a change agent, h owever I can enhance the lives of others. I don’t kn ow yet what that life look s like, but I’m on that pa th. Micki Cockrill e What advice wo uld you give your young er self? What advice do you have for younger self? Don’t be afraid to take the leap. A lot of the successes that I’ve had in my life have been because of taking that leap that I wasn’t very sure of. iz Denson considers herself fortunate to have found her dream job. “I’m so lucky because I’m in the position I’ve always wanted to be in,” said the vice president of community engagement at Early Connections Learning Centers. The Conroe, Texas native’s path to Colorado included a stop in New Mexico for a few years. It was there Denson got her first exposure working for a nonprofit after spending about a year with a small public relations company, she said. “I enjoy being at nonprofits because I did not come from an affluent family at all,” she said. “Some of the organizations that I’ve volunteered for, or that I work with now, offer very similar community services that I received as a child or my family received. “And, it’s really more meaningful for me to be able to support work that I believe in.” However, when the recession hit in 2008, Denson and her husband both found themselves looking for new jobs. “We knew we wanted to stay in the Southwest,” she said. “We were looking in Texas, New Mexico, Arizona and Colorado to see basically who would find a job first, and my husband was headhunted here for a national auto body repair company.” Denson and her husband and their three horses live in Penrose. Together, they put on an annual rodeo in nearby Florence to raise money for the high school’s FFA program. What makes Colorado Springs home? What makes Colorado Springs feel like home is the warmness of the people here. It’s a community that really has a strong sense of purpose. What makes Co lorado Springs home? You know, it’s take n five years, but I think I’m fi nally starting to get to a point wh have that nudge to ere I don’t home… Through al move back l I’ve met and all th the people e work I do, I feel lik volunteer e I’ve got a lot of friends n ow and I’m contributing to th e community. I’m always seekin g opportunities to tr y something new an d maybe outside of the box — and learn by doing. We complete project-based work for you. Four world-class insititutions of higher learning ready to go to work on the most compelling challenges in your sector. All managed by a Rising Star. Well deserved, Beka! If youâ&#x20AC;&#x2122;re reading this, so are THOUSANDS of the most influential business people in Colorado Springs! Owner-occupied businessesâ&#x20AC;&#x201D;call for a long-term, fixed rate. What advice would you give to your younger self? Plan. Be smart about things. Don’t just go headfirst into all opportunities that come at you. Mattie Gullixson What makes Colorado Springs home? There was something different, something special, every time I drove down and visited. When people talk it about it being a big city with a smalltown heart and feel, it does… It’s kind of Camelot. I don’t want to b e the CEO or the COO — I want to be an example. ... That you can find succ ess, you can do good in ou r world, and you can still be madly, wildly successful. how Melissa Howard a challenge, and she’ll dive in head first. “We heard the Carter Payne Chapel might be available ... nobody knew if the tenant was going to stay or not,” she recalls, “so like a crazy person I got in the car and drove to Texas and found the lady that owned the building. I said, ‘I know this isn’t considered stalking in the state of Texas — it might be in Colorado — but can I take you to lunch and tell you what I want to do with this building?’ She was kind of weirded out, but she said yes.” That’s just part of the story of how Howard ended up co-owning three Colorado Springs social enterprises: The Carter Payne, Common Cause Catering and Local Relic. “We kind of reverse engineered this brewery,” she said of Local Relic. “There’s no real playbook, so you kind of throw stuff on the wall and see what sticks. … We did it completely backwards. People told us we were idiots and crazy, and ‘What is wrong with you?’ We told them, ‘We still haven’t been diagnosed, nobody knows what’s wrong with us — but this is how we’re going to do it.’ “We really dug deep and figured it out. We are inherently fortunate that the people who have crossed our paths have been super helpful in wanting to see small business succeed.” Howard’s journey into social enterprises began with Common Cause Catering, which she launched part-time with Jeff Zearfoss, while both had other day jobs. Natasha Main What advice wo uld you give to your younger self? Don’t treat youth as a disadvantage. I hav e grown to see youth as a lot of positive qualities th at can immediately be a contribution to society and en gagement. I read once that it takes a lot of courage to grow up and be who you really are. I suppose I want to be all of me — an ever-present, ever-involving, ever-faithful woman of integrity who’s dedicated to her family and her community. CONGRATULATIONS from all of your â&#x20AC;&#x153;battlesâ&#x20AC;? at The Mission Continues! We are honored to have you as our leader and serve alongside you! My husband and I and our family have grown roots deeper here. … I lo ve our community and I want to continue to mak e it a better place for m y family. nyone who’s attended the Rocky Mountain State Games, Colorado’s largest sports festival, has witnessed the amazing efforts of Aubrey McCoy. As director of operations and marketing for the Colorado Springs Sports Corp., McCoy is responsible for all organizational and promotional aspects of the Sports Corp.’s biggest annual event. The games involve thousands of participants in more than 35 competitions each year. “Under her leadership, the Rocky Mountain State Games has surpassed 10,000 athletes in five consecutive years, including a record 10,874 athletes in 2018,” her nominator, Doug Martin, said. Born and raised in Laramie, Wyo., McCoy studied marketing and business at the University of Wyoming, where she met her husband, Brandon. “He was born and raised in Colorado Springs, so we ended up down here with his family,” she said. McCoy, 29, first came to Colorado Springs in 2010 for an internship with the El Pomar Foundation, which led to her selection in 2011 for a two-year leadership development fellowship. During her time as an El Pomar Fellow, she led a $1 million fundraising campaign for the Empty Stocking Fund and served as deputy director of the College Readiness and Success program, which engaged first-generation and military-dependent high school students in higher education opportunities. She also coordinated the Police Foundation of Colorado Springs’ annual Medal of Valor luncheon. Allison Moix What advice would you give to your younger self? I would have wanted to communicate that everything will be what it needs to be and that I do believe that God is working all things for good in the end. rancisco Montes has built his life around two bits of wisdom he received from his parents. “My mom said, ‘Cisco, I don’t care what you do — just be the best at it. You could be the garbage man, just make sure you’re the best garbage man,’” Montes said. “And my dad told me, ‘Continue to learn. Continue to see what else you can do.’” Heeding that advice has served Montes well as he rose from teller to branch manager in just three years at Academy Bank. The Briargate Boulevard location is one of the institution’s top branches in terms of growth and goals achieved — largely due to Montes’ dedication to serving both his customers and fellow employees, nominator Chris Long said. Montes is a wonderful example of what a young professional should aspire toward in Colorado Springs, Long said. “Francisco is focused on making Colorado Springs a better place for everyone by setting an exemplary example of work ethic, community involvement, mentorship and fatherhood,” Long said. Montes learned all those concepts the hard way. He was only a month old when his parents moved to Columbus, Ohio, from Mexico City. Montes’ father had a bachelor’s degree in computer science, but as few prospective employers would recognize a degree from a Mexican university, he initially worked as a hotel janitor and a Domino’s Pizza delivery driver to support his family. His father’s job with MCI Communications Corp.
Who knows? It ju st depends. … I know I’ll have to make a di fference whatever I do. I ca n’t just push papers ar ound an office. Deborah Myn att What makes Colo rado Springs home? No. 1, it’s beautif ul. The other thing is this community loves law enforcement. Bein g in a city surrounded b y the military, they appr eciate those in uniform. What did you want to be when you grew up? Believe it or not, throughout high school and in the Air Force, I enjoyed the basics of financial planning… I would like to think I knew I was going to do this for a long time. What makes Colorado Springs feel like home? Colorado Springs is the best I city I have ever visited, and am very well-traveled around e America and the world... Th people are cool. They’re chill… They just want to have a good life, and they just want to be happy here, and they don’t bother nobody. What advice wo uld you give your younger self? Always be authen tic. Always be yourself . Don’t always just be wh at people expect you to be. What do you wa nt to be when you grow up? When I grow up, I would like to be an inspiration. What makes Colorado Springs home? I think it’s that no matter where you go, it always seems like you know someone, and if you don’t, someone will make an effort to make you feel included. WE ARE IN FRONT OF THE CEO? 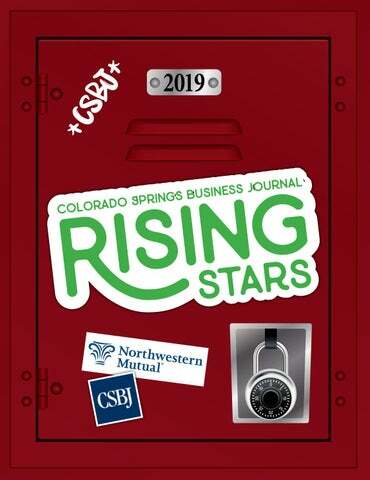 • All local business news, all the time • Comprehensive coverage, in print and online • Events that give you one-on-one access » The most influential readership in town Call 719-634-5905 to start connecting with local business decision-makers! Sophie Thunberg What advice would you give your younger self? I would tell myself not to be afraid, to be myself and to walk with purpose. Northwestern Mutual is the marketing name for The Northwestern Mutual Life Insurance Company (NM), Milwaukee, WI and its subsidiaries. Mark Perrault uses Dunn Perrault & Associates as a marketing name for doing business as a representative of Northwestern Mutual. Dunn Perrault & Associates is not a registered investment adviser, brokerdealer, insurance agency or federal savings bank. Northwestern Mutual Investment Services, LLC (NMIS) (securities), subsidiary of NM, registered investment adviser, broker-dealer, member FINRA and SIPC.